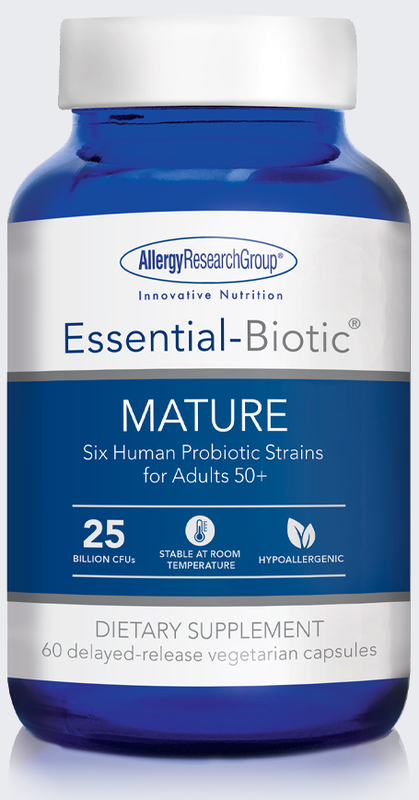 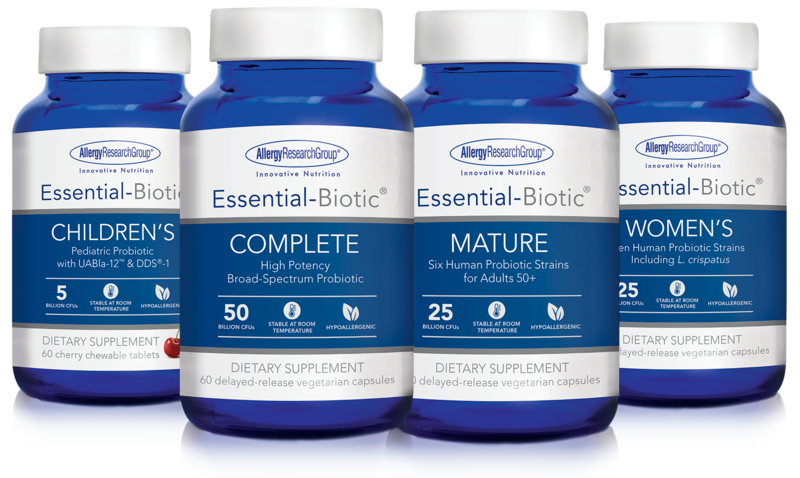 High quality, evidence-based professional probiotics from Allergy Research Group® - available now. 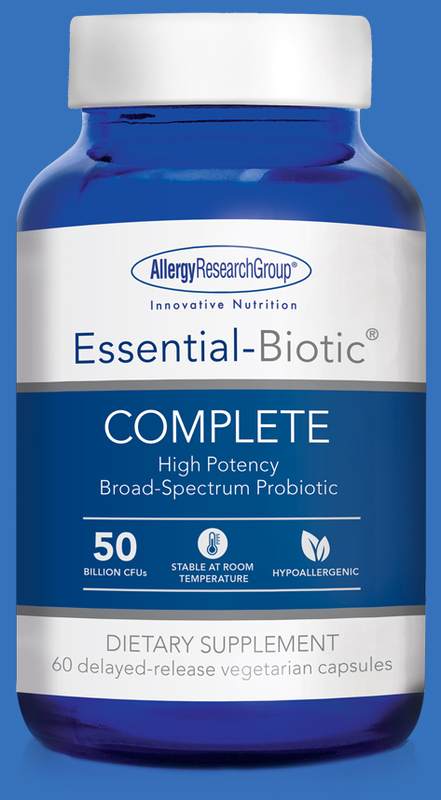 Our unique Essential-Biotic™ probiotic offerings utilize two clinically proven strains, Lactobacillus acidophilus DDS®-1 and Bifidobacterium lactis UABla-12™, to support upper and lower GI health, digestion, and immunity. 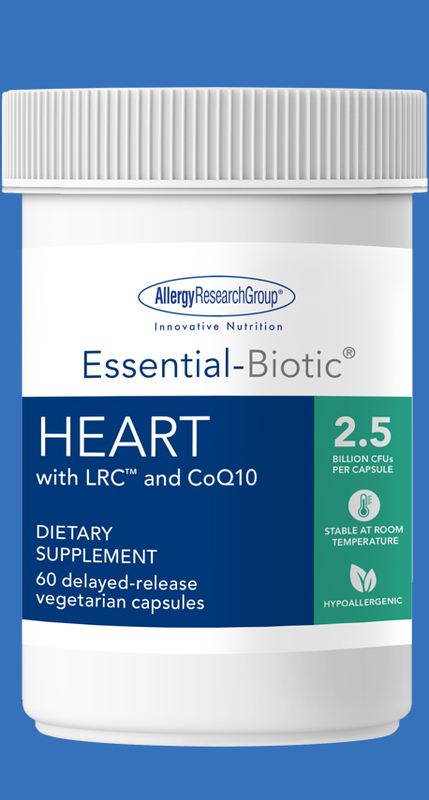 * The COMPLETE, WOMEN'S, MATURE, and HEART products utilize DRcaps™ delayed-release vegetarian capsules, which are scientifically proven to safely and effectively deliver probiotic strains to the intestines. 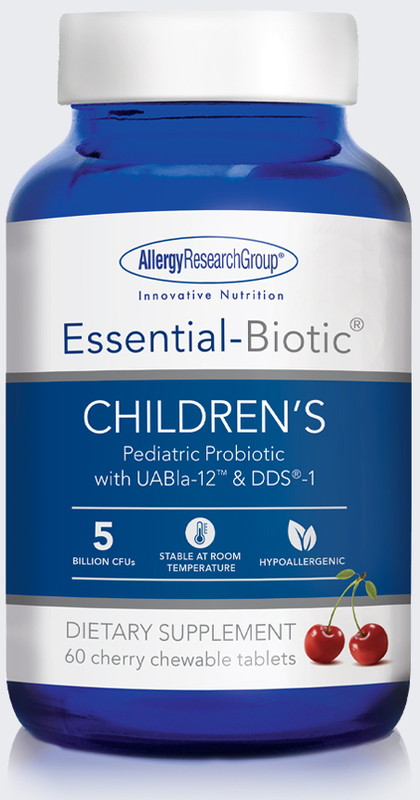 * SYNBIOTIC is a powder for easy titration, and the CHILDREN'S chewable is a delicious cherry flavor, sweetened with natural sweeteners. 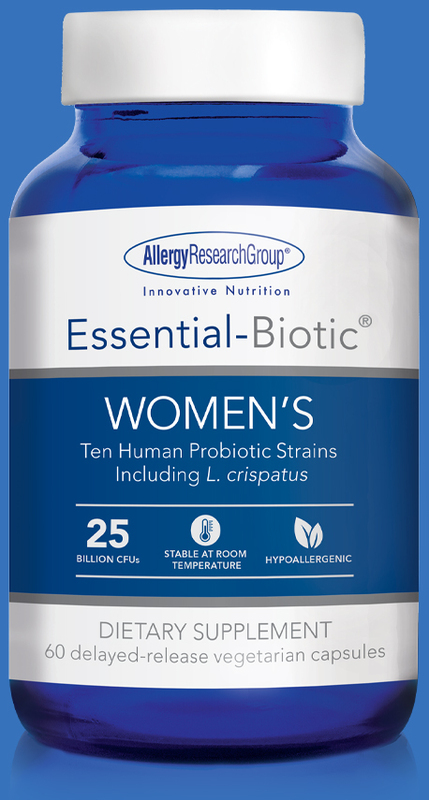 All formulas are non-dairy, gluten-free and stable at room temperature, with no refrigeration required. 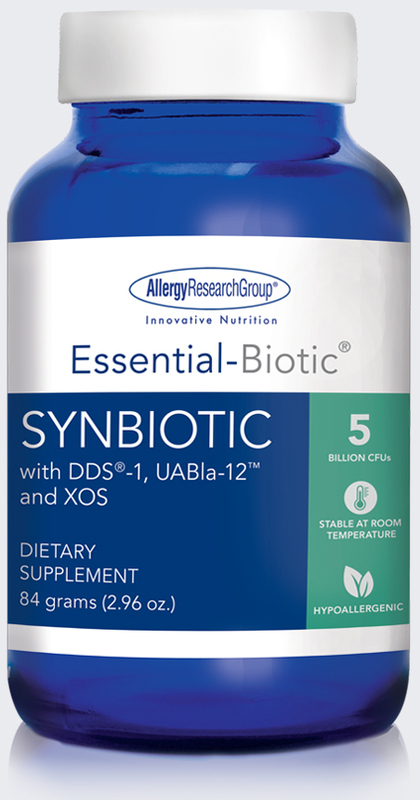 DDS®, LRC™ and all UA-trademarks are trademarks of UAS Laboratories LLC and used under license.